We found this traffic sign in South Africa at the beginning of the path leading to Tsitsikamma (The Big Tree). 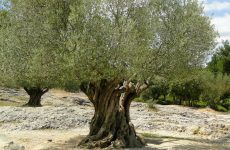 The Big Tree is an eight hundred- year-old Yellowwood. 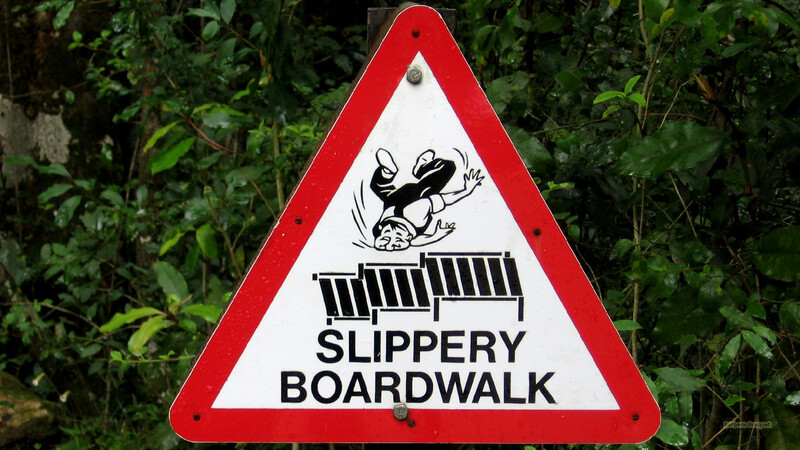 Warning sign with a man falling, and the text”Slippery boardwalk”.